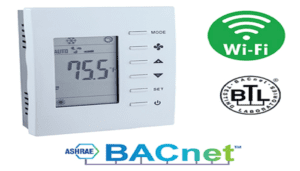 Contemporary Controls continues its mission of “Building on BACnet” by introducing the BASstat series of BACnet-compliant wired or wireless communicating thermostats that are BTL Listed to ensure effortless integration into BACnet/IP (Wi-Fi) or BACnet MS/TP (EIA-485) networks. BASstat thermostats are suited for single or multi-stage heating, cooling and ventilation binary output control applications such as RTU or AHU. Configurable control algorithm parameters allow adaptability to the specific application. Adaptive control algorithm applied to multi-stage on/off control saves energy and ensures seamless comfort for the occupants. Built in temperature sensor, input for remote temperature sensor, or temperature override network command from Building Automation System can be used. Occupancy status can be set from thermostat buttons or over the BACnet network. Thermostat buttons are optionally lockable to prevent unauthorized control. Digital display with graphical icons is easy to read and understand. The BASstat’s white backlit LCD display is large and easy to read, even from a distance. 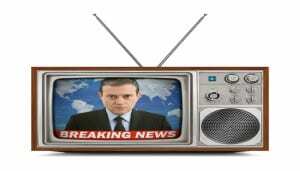 It incorporates graphical icons to aid visual indication of current state of operation. Several icons indicate parameters such as: Active Mode, Cooling stage 1 or 2, Heating stage 1 or 2, Ventilation Only, Fan Active, Occupied/Unoccupied state, and Clock icon to indicate Short Cycle Delay or Max Cycles per hour active waiting state. These icons are very useful in indicating the thermostat’s current state of operation. Six buttons on the BASstat allow users to manipulate temperature set point, change HVAC modes, turn the thermostat ON/OFF, and more. Pressing the Set and Up/Down buttons can manually toggle the thermostat from occupied/unoccupied modes, where BACnet occupancy command is not an option. All 6 of these buttons are lockable in a configurable manner to prevent unauthorized configuration change. Some or all buttons can be locked for application flexibility, making the stat suitable for applications where limited user control is allowed. Visit the BASstat product page for more information. Blue Ridge Technologies manufactures proven energy management solutions with a focus on Unified Lighting Control. Our solutions complete the Building Automation System. The Blue Ridge approach ensures our solutions are delivered, not merely sold, while our Wide-Open design offers unparalleled versatility. Blue Ridge Technologies is a privately owned company based in Marietta, Georgia that delivers solutions both domestically and internationally. Our unique approach, delivered through local controls experts, features a wide open platform that empowers our customers to utilize preferred system components producing the best value and support. 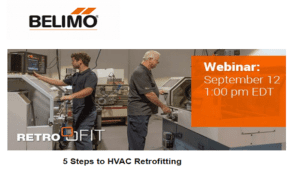 Retrofit Kits Overview: Retrofit Kit (RK) replaces existing relay panel electronics. RK installation retains the original relays, line voltage wire, conduit, and enclosure reducing labor as well as material cost. RK models are available for conversion of existing relay panels which utilize common LTR, 2-wire, 3-wire, or 5-wire relays. 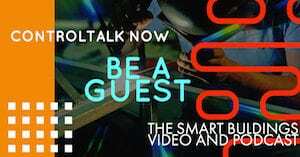 Episode 276: ControlTalk NOW — Smart Buildings Videocast and PodCast for week ending July 30, 2018 features another field interview update from Aaron Gorka, Innovation Manager, ANT Technologies; Sentient Buildings’ David Unger at Realcomm20/IBcon Live; Vykon releases Niagara 4.6; Honeywell Name Reveal: Resideo; Blue Ridge Technologies’ Dennis Swaboda’s BACnet Journal article: BACnet and Total Environmental Control; and don’t miss this week’s Flashback Friday: The Beatles and the Smart Buildings Controls Renaissance video. 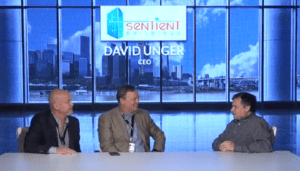 Sentient Buildings’ “Building Awareness” at Realcomm20/IBcon Conference — Conference Live Launchpad Interview with David Unger ControlTrends learned about Sentient Buildings at the Realcomm20/IBcon Conference Live Product Launchpad. Sentient Buildings provides Cloud-Connected Controls and Gateways for Building Monitoring and Control Systems — transforming the built environment delivering real-time “building awareness” through the application of IoT technologies connected to smart controls and gateways reporting to cloud platforms. VYKON Announcement: Niagara 4.6 is Here — Modernize Your Framework to Save Time, Effort and Money! Dear valued partner, Tridium has released Niagara 4.6, a significant advancement in our open framework. Niagara 4.6 provides fertile ground for developing applications that drive building automation systems forward and help businesses take full advantage of the IoT. Niagara 4.6 (4.6.96.28.4) follows the internal release of Niagara 4.5, a build used internally for testing and validating technology upgrades found in this newest release. 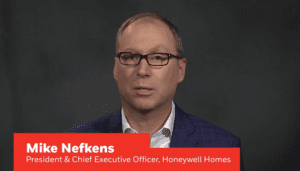 Honeywell Homes Name Reveal: A Message from Michael G. Nefkens, President and CEO, Resideo. As you’ve heard from previous communications, Homes and ADI Global Distribution will be spinning off from Honeywell to become an independent company. We expect the spin to be completed by the end of 2018. Many of you have been wondering how we’ll continue to deliver on the heritage and reliability of a great brand like Honeywell and have asked what will the brand become after the spin. In this letter, I’m excited to share with you the new corporate name of the Homes business, how we will go to market using the Honeywell name and a little background on the development of the name. Listen in to some great heads-up interviews with ControlTrends Young Gun, Aaron Gorka, Innovations Manager, ANT Technologies, and four guests: Nick Benton, Manager Professional Development, HARDI. Columbus, OH; Jake Charleston, Territory Manager, Charleston, Inc. Omaha, NB; José Loubet, Owner, Rafacciones Loubet. Tijuana, Mexico; and Raul Ruiz, Owner — Refaccionaria Ruiz., Ciudad Victoria, Mexico. ANT Technologies are providers of paperless, cloud-based, operational technology for HVAC & Control Contractors. Technicians love this paperless solution that simplifies the business end-of-the-stick, and allows them to focus on maintenance. ANT Technologies solutions add more value! 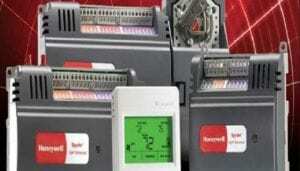 BACnet and Total Environmental Control: Shining a Light on BAS Controls. With all the conversation about the 3-30-300 metrics and Ken Sinclair’s thoughts on the humanization of buildings and the new ways occupants and buildings will interact, it was interesting when I came across this article from the team at Blue Ridge Technologies (published in the recent edition of the BACnet International Journal). Flash Back Friday: The Beatles and The Smart Building Controls Renaissance. Ken and I first noticed the controls Industry was in a renaissance period in Paris, at the EASYIO Global Conference. Sitting at a side walk cafe, drinking cafe au lait, discussing what we had seen and heard from the participants at the event,it became apparent that the smart building controls world as we had known it was changing and would never be the same. Over the next year, we noticed how quickly things had changed, and it was at the at EASYIO Global Conference in Manchester, that we confirmed that the New Age and Smart Building Controls Renaissance had indeed arrived, and there was no turning back. Intesis Software, a member of the HMS Group, is pleased to announce the addition of DMS Controls Group to its North American Distribution network. This agreement will allow customers to have unprecedented access to the Intesis solution set for the integration of HVAC systems to building, hotel, industrial, and home automation systems. With the outstanding reputation and support capabilities of DMS Controls Group, it is a natural fit. 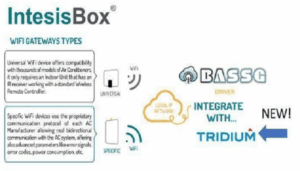 IntesisBox is designed specifically for Air Conditioner integration and the integration protocols supported are KNX, BACnet, ASCII, EnOcean, Modbus, LonWorks, OPC, and WiFi. With DMS Controls Group’s expertise in building automation and systems integration and Intesis’ new product range, they are now able to provide complete solutions specialized for Ductless Split and VRF Air Conditioners. The integration capabilities of Intesis products are an outstanding complementary line. Intesis Software is looking forward to a successful relationship with DMS Controls Group, helping them to solve the AC integration needs of home automation professionals nationwide. At DMS Controls Group, we provide you with the specific visibility into your building where you need solutions first. It’s about taking proven steps that produce immediate results. We provide the tools, hardware, software and the qualified integration support that you need to leverage your existing assets with future-ready solutions providing for the next best step. 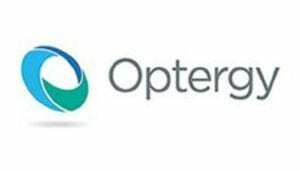 We help to build owners, facility operators and facility managers at many levels with varying degrees of support to make their buildings more energy efficient and safer environments. We help decision-makers with the latest industry knowledge and the products that make the biggest impacts, quicker. With over 60 years of industry experience in the buildings controls distribution market, we look forward to assisting you with your controls needs. It’s a new day. Visibility is good, as dust from previous storms and battles has settled across the plane. Observers wait in the shadows. An imposing hero figure steps into the open. Everyone knows that whatever went on before—that’s over. And something new has just begun. The story of the new sheriff bringing order to a lawless place is a common plot for Western films. 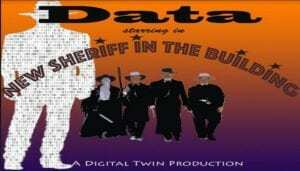 It feels like the commercial buildings industry is at a ‘New Sheriff’ moment right now. The power of data to bring transparency, greater security, fairer market competition and rapid change to buildings was the main theme at Haystack Connect in Tampa in early May. Advancements in contributing technologies like wireless connectivity, edge computing, analytics, machine learning, etc. were well covered in the IoT Architecture Symposium that ran during the IoT World Conference in Santa Clara in the middle of the month. I was at both and heard speakers and exhibitors deliver similar news: The business practices that have kept the buildings industry seven to ten years behind manufacturing, processing, transportation and other industries when it comes to data-driven operations are about to see their eclipse at High Noon. It is no longer just a Wild Bunch working on data interoperability; the biggest companies in IT and OT want standardization and less friction in data flows. Soon, for a Fistful of Dollars, building owners will be able to integrate and analyze the digital data streaming from any piece of building equipment, per any key performance indicators (KPIs) they want to monitor and manage. Dr. Wouhaybi made the point that when it comes to data modeling, the need for semantic schemas and label dictionaries for various IoT market segments —cars, cities, homes, energy grid, factories —overlap. Buildings are at the center of it all, so Project Haystack lessons, knowledge and tag sets have potential for sharing and adoption across the board. Milenkovic’s landscape was of all the IoT interoperability standardization organizations. His point was that the various bodies need to build better bridges between their definitions to achieve higher rates of adoption. 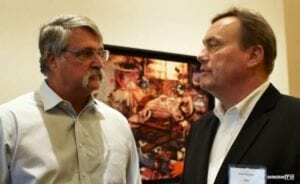 He explained that some organizations are working on syntactical interoperability and others, like Project Haystack, are working on semantic interoperability. There is still so much work to do on both fronts. He put out a call for collaboration: the path forward is for the various standards organizations to add interoperability to their charters and reach out to one another. ASHRAE Standard 223 “Designation and Classification of Semantic Tags for Building Data” and EdgeX FoundryTM a vendor-neutral open source project hosted by the Linux Foundation. Dave Robin, research engineer with Automated Logic Corporation, past chair of the BACnet standards committee and longtime leader of its Network Security Working Group, made the ASHRAE 223 announcement. He gave some detail about the mapping mechanism to Haystack and other ontologies. The EdgeX Foundry announcement was made at the Dell booth, as Dell contributed the initial micro-services and tens of thousands of lines of code to seed the effort. EdgeX seeks to be a resource for anyone doing an edge device to have a ‘clean’ architecture to plug into. Anno Scholten, President of Connexx Energy, also spoke to the coming era when well-defined reference architectures will bring order to the terabytes of time-series data that will be collected for a multi-story building. Metadata tagging systems like Project Haystack dictionaries ease navigation of all this data. He used the metaphor ‘Digital Twin’ to describe the end goal—a dynamic software model that can be used to analyze and predict building systems performance. He sees all the performance and energy modeling that design engineers do before a new construction or major retrofit project is built, and all the actual time-series data that is collected once it is operating, contributing to this Digital Twin. The participation of big architectural engineering firms as well as building commissioning/energy management firms at Haystack Connect also contributed to that new-sheriff-on-the-beat feeling. While the metaphor of the Digital Twin is a good way to personify the kind of performance authority that a complete data model will represent, the engineers that building owners hire as their trusted advocates in making technology decisions are performance authorities in the flesh. John Petze and Marc Petock of Project Haystack led an “Engineers and End-Users Panel’ that included Matt Schwartz of Altura Associates, Ben Talbot of DLR Group, Zachariah Nobel of Constellation, and Rob Murchison of Intelligent Buildings, LLC. These are the type of firms and people blazing the way toward data analytics platforms that enable monitoring-based commissioning and better energy management. The panel talked about proof-of-concept projects that used Haystack-compliant software and edge devices to balance ‘hot-path analytics’ (acting on data as it is being generated on the edge) and ‘cold-path analytics’ (analyzing select data in the cloud). Alper Uzmezler’s presentation addressed implementing Haystack from the cloud to the edge. And a new community of developers working toward lightweight BAS suitable for analytics on the edge, Sedona Alliance, announced its formation. Interestingly, some of the biggest proprietary-protocol-protected OEMs are also touting digitalization, aka the coming of the Digital Twin, as opportunity to renew buildings and other industries and to remake their businesses from the inside out. The stage at the IoT Architecture Symposium during IoT World was an opportunity to learn about that. For example, Suhas Joshi, Director, Honeywell, presented on merging new IoT tech with legacy C&I equipment. In the Q&A, Joshi was asked about handling ‘contextual’ data versus ‘global’ data—another way of saying meta data tagging versus the large time-series data stores. (See Anno Scholten’s Digital Twin presentation linked above.) Joshi answered “Certain markets are working on this. Look at Project Haystack.” On the same stage, Johnson Controls VP & GM of Data-Enabled Solutions, Sudhi Sinha, presented on how such a big industrial company goes about deciding who to partner with for data services, among tech-stack behemoths like Google, Amazon and Microsoft. Even companies the size of JCI must consider how to maintain power, leverage and future growth opportunities when they decide which cloud provider should store and secure their customers’ building data. Data is where the value resides. ‘Who are you going to entrust with it?’ becomes a very strategic question. The IoT Architecture Symposium also included an EdgeX Foundry presentation—just one more point in common with Haystack Connect. “The New Deal is built on three critically important building blocks: BACnet open standard, model-based analytics, and service transparency. 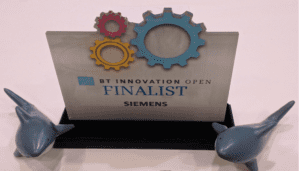 This new blog is another response to Milan Milenkovic’s call to action for bridge-building between industry organizations working on data interoperability in the interest of finally moving more swiftly toward better buildings and toward all the Internet of Things product categories that rely on the contextual data streaming from them. Episode 212: ControlTalk NOW — Smart Buildings VideoCast|PodCast for Week Ending Jan 15, 2017 introduces Tridium’s new President and General Manager, Jim Bland. The 2016 ControlTrends Awards are less than two weeks away and there is still time to vote! And, we want to remind all of our sponsors and attendees to be at the Hard Rock Cafe, on the Red Carpet, before 6:30! Be sure to visit our featured Platinum Sponsors for this week: Lynxspring, Honeywell, Blue Ridge Technologies, and Distech, and by all means, VOTE today! 2016 ControlTrends Awards Details for Attendees. The 2016 ControlTrends Awards will be held on January 29, 2017 from 6:30 – 9:30 at the Hard Rock Café on the Las Vegas Strip. Please note that the Hard Rock Café is not part of the Hard Rock Hotel and Casino. The address of the venue is: 3771 Las Vegas Blvd S, Las Vegas, NV 89109. 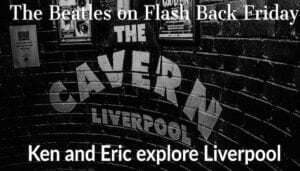 Please plan to arrive on time as we have a packed show this year that will kick off with a special treat, and you will want to be in your seat when it starts. If you have not voted yet, you have until January 17 to cast your votes. Meet Tridium’s New President. ohn Sublett, Tridium CTO, introduces new Tridium President and General Manager, Jim Bland to the Niagara and ControlTrends community. Jim joins Tridium from Snapdata.io, a start-up company that designs and develops sensors, data communications hardware and analytics software. He also has managed several national and global businesses ranging from start-ups to Fortune 500 enterprises. 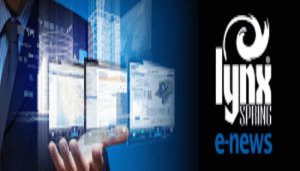 Lynxspring to Demonstrate New Edge-to-Enterprise and IoT Solutions in the Building Automation and Control Showcase at AHR Expo 2017. LEE’S SUMMIT, MISSOURI (PRWEB) JANUARY 10, 2017. 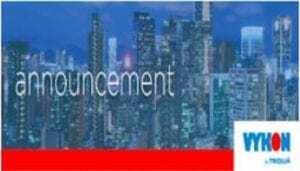 Lynxspring, Inc. (http://www.lynxspring.com), a premier developer and provider of open, IP-control solutions for building automation, energy management, cyber protection, and device-to-enterprise integration today announced they will be demonstrating their new edge-to-enterprise and IoT solutions and service offerings for building automation. 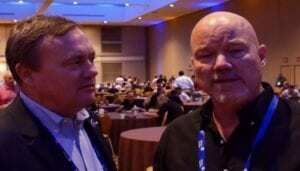 Catch Up with Bill Dunkleberger and See Cool New Products from Blue Ridge Technologies. 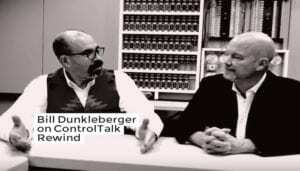 On this episode of ControlTalk Rewind we revisit Bill Dunkleberger from Blue Ridge Technologies. Bill shows us some cool new products, introduces us to ControlTrends Awards Best Technical support person nominee Christy O’Neil, and shares his thoughts on the most effective ways to do lighting in Smart Buildings. Bill is nominated for the ControlTends Executive of the Year. 2016 ControlTrends Awards Finalist for Building Automation Control System of the Year: Honeywell WEBs. Honeywell is Building Automation Systems: With both Honeywell WEBs-N4 and WEBs-AX, Honeywell has the Niagara Framework-based building management solution (BMS) that takes all aspects of your building and occupant needs into consideration to maximize energy efficiency and make management of your facility simpler and more user-friendly. Add the power of Spyder® or Stryker controllers, and you’ll have the versatility to choose from a collection of best-in-class control products. 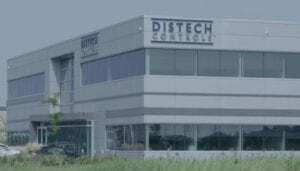 2016 ControlTrends Awards Finalist for Building Automation Control System of the Year: Distech Controls. Distech Controls‘ EC-Net building management system (BMS) is a comprehensive Web-based platform powered by the Niagara Framework®. The open structure of EC-Net building management system (BMS) creates a common development and management environment for the integration of BACnet®, LONWORKS®, Modbus™, and other standards. More than a building management system, EC-Net system provides all the tools you need to gain intelligence into your buildings’ performance and arm you with the ability to rapidly react to any situation that may adversely affect energy costs, business performance, and ultimately, your bottom line. 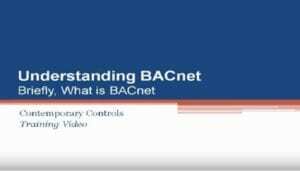 Thanks to George Thomas and the team at Contemporary Controls for putting together this eight-part video series “Understanding BACnet.” Contemporary Controls is a leading global manufacturer of system building blocks for networking, integrating and controlling automation processes where performance and reliability are important. Contemporary Controls products are built upon open technologies such as ARCNET®, BACnet®, Controller Area Network, Ethernet, Modbus®, Niagara Framework®, and Sedona Framework™, and are typically found in building and industrial automation industries. Contemporary Controls customers include systems integrators, contractors and mechanical and controls OEMs seeking simple and reliable networking and control products from a dependable source. With headquarters based in the US, they have operations in the UK, Germany and China with self-manufacturing in the US and China. The newly designed butterfly valve and actuator assembly is the most intelligent, energy efficient, and reliable high flow solution in the HVAC market. With a focus on the ease of installation, application flexibility and longevity, this series sets new performance standards in HVAC applications. 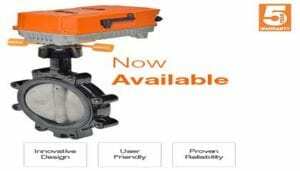 Innovative – User Friendly – Reliable, Belimo’s New Advanced Butterfly Valve Technology for High Flow Applications is the Most Intelligent Butterfly Valve on the Market! * Saves energy with up to 80% less power consumption and reduces transformer and wiring costs. * Patent pending, self-adjusting end stop logic ensures zero leakage at 200 psi close-off. * Unique position indication viewable for easy troubleshooting. * Near Field Communication (NFC) along with BACnet communication protocol provide superior application data access. The resilient seated butterfly valves are designed to meet the needs of HVAC and commercial applications requiring zero leakage. The large Cv values provide for an economical control valve solution for larger flow applications and designed for use in ANSI flanged piping systems. Typical applications include chiller isolation, cooling tower isolation, change-over systems, large air handler coil control, and bypass and process control applications. ControlTalk NOW — Smart Buildings VideoCast|PodCast for week ending Oct 16, 2016 features highlights and interviews from three major industry events: Johnson Controls’ CBC16 in Nashville; KMC’s Genius Summit in Chicago; and Siemens’ National CPS Business Sales Meeting, also in Chicago. The Race to the Small Space continues as these three Vendors renew their focus on the Small to Midsize Building Markets with a host of feature-rich products. Haystack Connect 2017 update; Upcoming ACI Interface Device Webinar; Sierra Monitoring Corporation’s BACnet Survival Kit, Special Limited Offer; and don’t miss Phil Zito’s review of ControlTalk NOW’s 200 episode. 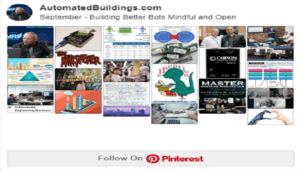 CTN 201 ControlTalk Now The Smart Buildings Video Cast from Eric Stromquist on Vimeo. 200th Episode of ControlTalk NOW — Smart Buildings VideoCast|PodCast and DAY 2 of Johnson Controls’ CBC16. ControlTrends is delighted to bring you our 200th episode of ControlTalk NOW — Smart Buildings VideoCast|PodCast for week ending October 9th, 2016, while covering DAY 2 of the Johnson Controls’ CBC16! Providence would have us at Nashville’s Gaylord Opryland, which was an ideal venue — full of special people to help us celebrate our momentous occasion. Special thanks to Roger Rebennack, Jenny Stentz, Chris Eichmann, Rick Van Buren, Al Anderson, Russ Carfagna, John Donahue, Dave Gottfried, Jeff Hurwitz, Joe Chandler, Jim Hayman, Pete Walsh, Paul Burke, and the too numerous to name well-wishers and supporters of ControlTrends, that helped make this milestone happen! Day Two Night Lights from the Johnson Controls CBC16. This video captures just a few of the great products and people at the Johnson Controls CBC 2016 Vendor Showcase. Listen as Sabrina Eder, Channel Account Manager, tells Rob Allen why she has been recognized as a ControlTrends Young Gun Award and for her continued success with customers. 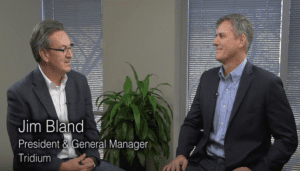 Troy and Tom tell ControlTrends about JCI’s sales operations and channel sales for APW, as well as a introduction to one of the most exciting entries into “the race to the small space,” the Johnson Controls’ Verasys. 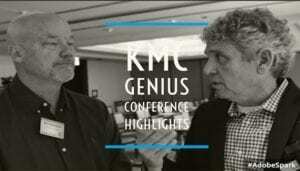 Highlights From The KMC Genius Conference. From Nashville to Chicago, and from JCI to KMC, this has been the week of Smart Buildings Controls meetings. KMC’s Genius Conference theme was “Command Your future”. KMC rolled out all the stops with a great location, great speakers, innovative ideas, and training on KMC’s new light commercial system, the Commander. Project Project Haystack Organization Announces New Members and Haystack Connect 2017 Conference Sponsors. Richmond, Virginia – October 12, 2016 – Project Haystack (www.project-haystack.org), a non-profit, 501(c) organization focused on developing common standards to streamline the interchange of data among today’s smart devices, systems and equipment, today announced the latest additions to the growing list of associate member companies and confirmed sponsors of next year’s Haystack Connect 2017 Conference scheduled for May 8 – 10, 2017 at the Saddlebrook Resort near Tampa, Florida. ACI’s Brant Kasbohm’s INTERFACE DEVICE Webinar, 10/26/16 10:00 A.M. CST. 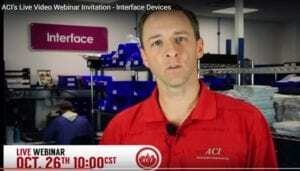 Brant Kasbohm, ACI’s Interface Webinar Presenter will conduct a brief, educational overview of ACI’s Pressure Sensors including “How To” videos and product demonstrations. A “Q & A” session will conclude Brant’s 15 minute presentation. Questions? Send Brant an email: bkasbohm@workaci.com. Sierra Monitoring Corporation’s BACnet Survival Kit — Special Limited Offer. Sierra Monitor Corporation addresses the industrial and commercial facilities management market with Industrial Internet of Things (IIoT) solutions that connect and protect high-value infrastructure assets. 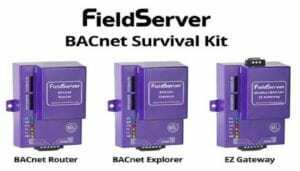 BACnet Survival Kit Product Information and Description: Do you have a BACnet integration project and require various products to commission the site? No need to look elsewhere – we’ve got you covered. 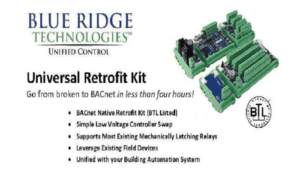 Introducing the BACnet Survival Kit: your all-inclusive BACnet integration toolkit. ControlTrends coverage of the Siemens CPS Business National Sales Meeting in Chicago features interviews with John Katzmarszyk, VP Americas, Commercial Products and Solutions, who explains Siemens’ effort to be more open, honest, and engaging to their partners, make more products and solutions available, and be more effective business partners. ControlTrends’ next interview is with Siemens Territory Manager and ControlTrends Woman of the Year nominee, Ruth Hershey. 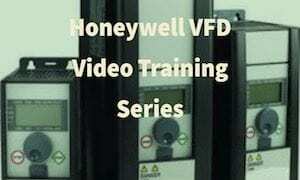 Ruth reviews her eighteen year career that began in the electronics industry with Omron and the great experiences she has enjoyed with Siemens and the HVAC industry. Phil Zito Breaks Down Episode 200 of ControlTalk NOW The Smart Buildings Video Cast. Smart Buildings Controls Expert Phil Zito, from Building Automation Monthly, shares his thoughts on Episode 200 of ControlTalk Now The Smart Buildings Video Cast. Click here to check out Episode 30 of Phil’s Building Automation Monthly Podcast on the ControlTrends Podcasting Network. 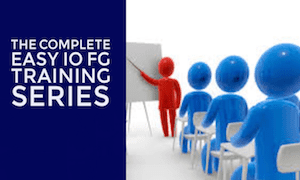 Phil does a great job of laying out his seven steps to creating successful sequence of operations for our building automation controls system. Great job Phil!